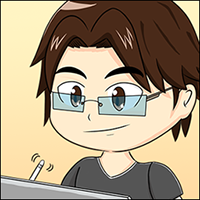 Lester here a.k.a DyLESTorm, an enthusiast game developer, avid gamer, and the artist for TofuCats webcomic. This site was originally meant to be a dev-blog where I talk about the progress of the games I’m currently working on. However as of 2018, I decided to shift my focus into drawing and making 2D game graphics instead. TofuCats is a weekly webcomic that follows the mischievous cat called Tohfu. The original concept for TofuCats was created by my wife (Carbunkid) during one of her random sketches. Altogether there are 4 of us working together on TofuCats, with me being the main artist. DefOp is an arcade survival game where you need to defend your base against waves of incoming enemies. There are two versions of this game. The iOS version is split into 5 different stages (called Days in game) and has a backstory. The browser version pits you against 10 waves of enemies but you have access to turrets, controlled using the mouse. Around mid 2017, I started making game assets for sale. There are currently two sets available; Futuristic 2D Sprite Kit and Pixel Art Spaceships for SHMUP. They are available over at GameDevMarket, Scirra Store and Itch.io.